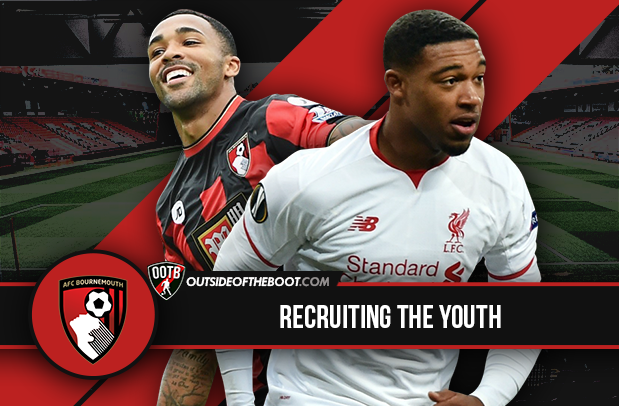 Rahul Warrier has a look at Bournemouth’s recruitment strategy in the past as well as in the current transfer window. Bournemouth were arguably the most refreshing side to take part in the 2015-16 Premier League season. With the smallest stadium in the top division, Dean Court/Vitality Stadium, which has a capacity of only 11,700, and managed by a rarity, a young English manager, they surprised many by surviving their first season. They were ravaged by injuries through the season, with long-term ACL injuries for two of their expensive signings, Tyrone Mings and Max Gradel and their best striker, Callum Wilson. They were still able to produce the goods without the trio for the majority of the season, with the highlights being an away win versus a Chelsea in turmoil and a Harry Arter-led home win versus the stodgy Manchester United. What was also interesting was how they resisted the urge to throw money on a number of Ligue 1-based players (such as Aston Villa and Newcastle). They instead focused on the domestic market, even if the focus was not on young players as such. Out of their 10 permanent transfers last season 9 were from English clubs (only Max Gradel was purchased from Saint-Etienne). The transfer policy here is aimed at bringing in local players in order to keep the squad unity intact. It was this unity and hard work which drove them last season. 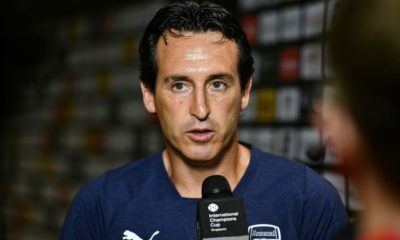 With a second season on the horizon, they need to further strengthen their squad without compromising their transfer ideals and ensure that they spend their money wisely. While Bournemouth’s rise is not as much of a fairytale as it is made out to be (their owner is a Russian businessman, Maxim Demin who has invested a fair bit in the squad), they do not splurge unnecessarily. Their three biggest signings last year were of Tyrone Mings, Benik Afobe and Max Gradel. Mings and Afobe are the type of signings which signify the Cherries’s transfer policy. Both are 23 years old and English, with a fair bit of potential. Investing in English talent in this age has a number of advantages. The influx of money that has come from the new TV deal has led to inflated transfer prices. English talent is now worth more than ever before (see John Stones and Raheem Sterling) even if they aren’t worth it. 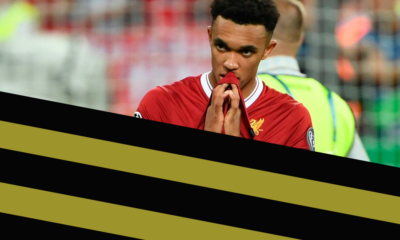 It was very unfortunate that Mings was ruled out for nearly a year which meant he spent his debut season on the sidelines. It was a cruel blow for a highly-rated prospect. The hope is that he can stake a claim for a starting spot this season. Afobe on the other hand joined Bournemouth in the winter from Wolverhampton where he had plundered a heap of goals. An ex-Arsenal player, he took time to settle into his new environment, though he still scored 4 goals from 12 appearances last season. A more-consistent season could see Bournemouth improve in the coming year. Bournemouth have a young core of players, mostly English, around the ages of 23 to 26. Steve Cook, Mings, Adam Smith, Dan Gosling, Harry Arter, Junior Stanislas, Eunan O’Kane, Callum Wilson and Joshua King are players belonging to this category. The focus on younger, English players is down to their manager. Eddie Howe, the youngest manager in the Premier League at only 38, is a club hero for taking them from League 1 to the Premier League in less than 4 years. Howe is a type of manager that is a rarity in the managerial market, a young English manager with a lot of upside. He could well be a prized commodity amongst Premier League clubs few years down the line in a post-Brexit market. As for now though, he has a clear project at Bournemouth. Bournemouth fans may have feared Howe would move on to the vacant England post but those fears have been allayed. The job could be his years down the line but not now. The club do not want to lose hold of their identity and Howe is central to that. As such Bournemouth’s transfer policy so far has been well in line with their club ideology. They’ve signed 4 players so far at the time of writing, all aged 21 or under, with another reported target, who we’ll talk about later on in the article, aged 20. All but one are locally based too. What does that tell you? No risky business, but transfers for players that can improve massively and which could reap rewards both on pitch and financially if and when bigger clubs come to swoop. They’re not household names, but they could be one day. The south of England seems to be the production line for the rest of the country in this age; mainly Southampton but with time Bournemouth could join too. So who have Bournemouth brought in so far? Emerson Hyndman, Lys Mousset and Lewis Cook have been the three permanent deals so far, in addition to the loan signing of the slightly more well-known Nathan Ake from the Chelsea loan factory. What do these 4 players have in them? Emerson Hyndman moved to Bournemouth on a free from Fulham. 20 years old, the American national chose to let his deal run down with the Cottagers. A risky move for a young player, but he clearly impressed Bournemouth enough to sign for them. He impressed for Fulham, racking up 15 appearances in the Championship last season with a single goal. He is a player of potential and he has the basics to develop further as a midfielder. He is a good passer of the ball and plays well with the ball at his feet. While he was underwhelming at times last year, under Howe he has the best chance to progress and develop at a Premier League club. He has his work cut out to impress but with time he should emerge to be a valuable player to the squad. Lewis Cook is a typical Bournemouth signing. He’s English, firstly and he’s young (only 19). The price (reportedly worth up to 10 million pounds) may be steep but in the current market prices for young English players are always inflated. He was a key player for Leeds United in the Championship, with 75 appearances in two seasons, which is phenomenal considering his age. His dribbling is a key part of his game and he is best in the centre of the park. He also commits a number of fouls (10 yellows last season) which is a downside to his game, however that is something which irons out with time and experience. Cook was a long-term target for the club. If Cook continues to develop, expect him to earn a big-money move to a top PL club a few years down the line and be part of England’s future going forward. Nathan Ake is a savvy loan signing for the club. Bournemouth did not have much success in the loan market last year, with the likes of Christian Atsu, Filippo Costa, Tomas Andrade, Joe Bennett and Juan Iturbe failing to play much at the club and were sent back at varying points in the season. Despite being young, they couldn’t do much, but Ake is different. Only 21, the Dutchman has played for Reading, Chelsea and most importantly Watford in his short career already. A youth graduate at Chelsea, a club renowned for loaning out youths by the numbers, Ake grew a lot in his year at Watford. He nailed down the left-back spot and was consistent throughout, earning the Young Player of the Season award for his new club. He can play at left-back, centre-back or midfield. It was surprising to see him loaned out again to another club, instead of a chance at pre-season at Chelsea or a loan back to Watford, but it is interesting to see what Howe can do with Ake. A good season can see him earn a spot in the Chelsea squad or a permanent move to a mid-level PL side. 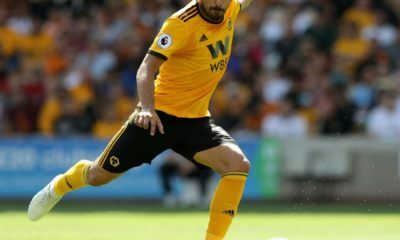 At this stage of his career, he needs to define himself as a footballer regarding his position, so the hope is he’s used regularly in a sole position rather than used wherever it’s needed. 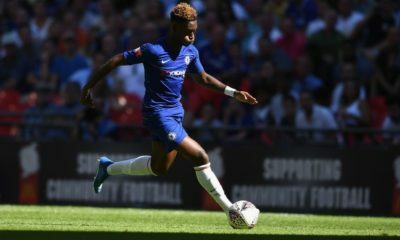 It seems like Conte sees Ake as a midfielder, but Bournemouth have new signings in that position (Cook, Hyndman), so his development will be intriguing to watch. Lys Mousset is arguably the most exciting of the signings so far. He had offers from clubs such as Sevilla and Tottenham but chose to sign for the Seasiders. Why? Undoubtedly attracted by the club’s policy, manager and the size. They provide the Frenchman with an opportunity to develop without pressure. Mousset cost them 7.3 million euros, hefty but potentially worth it. He netted 14 goals in 28 appearances for Ligue 2 outfit Le Havre last season. Le Havre have also produced the likes of Dimitri Payet, Paul Pogba and last year’s PFA player of the year, Riyad Mahrez. He is young, strong and quick with an eye for the goal. It is a coup for the club and I personally feel Mousset can do it in the Premier League. The step up from Ligue 2 to the PL is tough but he has the potential to do it. Howe will be itching to work with Mousset and understandably so. I’m eager to watch his development in the next few years. Lastly, we have Jordon Ibe. A young player moving from Liverpool to Bournemouth in what was reportedly a 15 million pound deal. Who would have thought? Why is he moving down the ladder, and why are Liverpool selling him? Ibe has a lot of potential on him. A pacy, tricky winger, he’s a player who needs the trust of the manager and regular gametime to progress. Klopp and Liverpool can’t offer him regular gametime now. But Bournemouth can. Howe and Ibe is an excellent combination and he could be the one to rejuvenate the winger and give him the confidence. The beleaguered England side need someone like Ibe in the future, and so a move is the best for him. There is no chance Ibe can do a Pogba and give Pool regrets though, because the selling club reportedly have a buy-back and a sell-on clause in the deal. Either way it’s a good deal for Liverpool as they get the cash and potentially an improved player in a few years. For Bournemouth, they get a rough diamond to polish, in tandem with their policy. They could also get their cash back in a few years. As such, it’s a great deal for all parties involved, and an interesting one too. Bournemouth have the cash to spend, have a plan in place and have a vibrant manager at the helm. Their focus on English talent is likely to reap dividends in the future. They are naturally not done in this window but if they continue to target young English talent, it’ll be nice to watch. They may be a selling club, but they’ll also be the finishing school for some of the country’s top talents. It’s a long-term project, but a potentially worthwhile one. Bournemouth are an intriguing club and one to look out for in the coming season as well as the coming years.